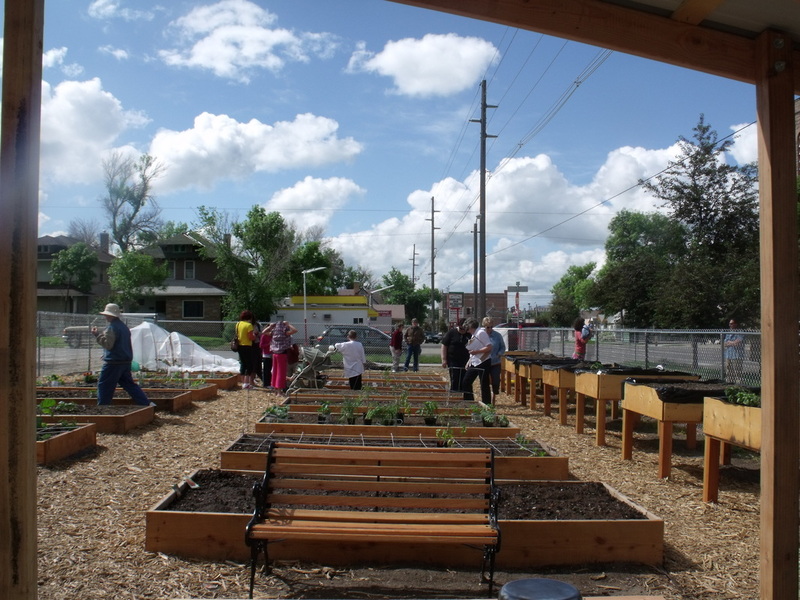 Pea Pods was born from an empty parking lot and diversified neighborhood that wanted to connect neighbors, build assets for the community, and provide awareness of the environment and its accessibility to provide healthy food to all in need. A collaboration of partners responded to the vision. Dedicated residents, schools, daycares, businesses, churches, and civic organization remain connected as we carry on with our mission. The garden is located on the corner of 9th Street and 3rd Avenue North in Great Falls. Pea Pods gardens focus on developing neighborhood pride and tearing down barriers of a diverse neighborhood. 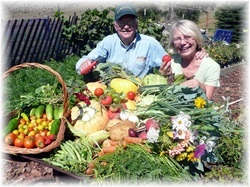 The project provides educational opportunities on gardening, nutrition and horticulture. 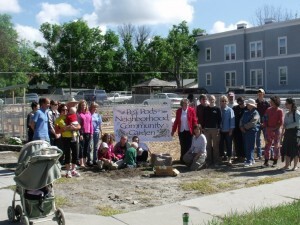 By gardening together, neighbors create and build a healthier neighborhood. The effort has had a direct, positive effect on helping eliminate poverty; weed out crime; foster healthy nutritional habits; and encourage residents to be good stewards of the land. A strong sense of community comes from the first garden, for all stakeholders — funders, volunteers, food recipients, and growers. 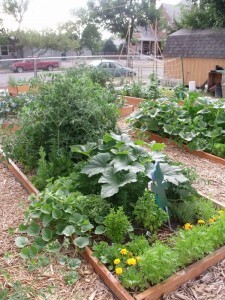 Develop accessible garden plots in neighborhoods. Encourage residents to grow their own vegetables, flowers, and produce; providing healthy, economical, and fresh food choices for themselves and their families while beautifying the neighborhood. Provide opportunities for residents, schools, and the community to learn gardening skills and nutritional information while also providing opportunities to volunteer, lead, and participate in the benefits of community gardening. Assist in creating neighborhood pride by tearing down barriers in neighborhoods, cultivating relationships between neighbors, resident businesses and the community through the creation of a safe gardening environment that nurtures those relationships. Through education, partnerships, and neighborhood involvement we seek to have a direct effect on eliminating poverty and crime, foster healthy nutritional habits and relationships, and teaching our community to become good stewards of our earth and encouraging the beautification of our neighborhoods. 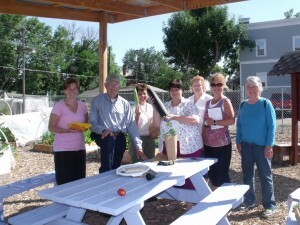 As noted above, neighborhood collaboration is a key element to the Pea Pod program. Older students build bins, Scouts build workbenches and garden benches, donors stop by to see the ongoing work, master gardeners teach newcomers how to get the best results, volunteers construct raised beds for ease of gardening for the elderly and younger students care for plants. Volunteer hours are tracked diligently; the only problem with counting volunteer hours is that they work in the garden all hours of the day and evening, so it is difficult to track each and every hour. *If you are interested in one of the volunteer positions listed above, contact Traci Hronek, Director of Pea Pods Neighborhood Community Garden. Her contact information is available at the bottom of this page. Pea Pod organizers view their job as getting a garden going. That means finding organizers, rallying the neighborhood community, organizing a small team of residents to run the garden, training leader to oversee each garden and helping volunteers connect with the needed resources. Pea Pod recycles and reuses wooden crates that were used in the original garden. Pea Pod used the wood to create workbenches and other useful features. In the same vein, it used several concrete cylinder testing blocks for landscaping, keeping them from the community landfill. Perhaps one of the most charming “recycle” programs occurs when neighbors bring cuttings and seedlings they have nurtured throughout the winter and spring to the neighborhood garden as starter plants. Another example of recycling is the use of food waste from a soup kitchen and the school kitchens in the community. Since the food comes from certified food kitchens, it can be used directly in the compost heap, ultimately used to nourish the new crops. The program effectively reduces wasted food community wide, and puts it to good use. 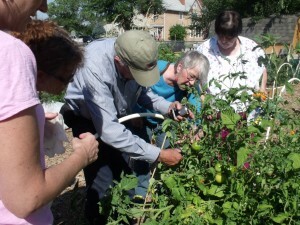 Pea Pod Garden is exploring expansion into at least three other neighborhood gardens. The distinction “neighborhood gardens” is important, because it speaks to a vital difference between other local operations, including large collaborative gardens that draw from the entire community, small truck farms, and other commodity-producing projects in which area gardeners can participate. 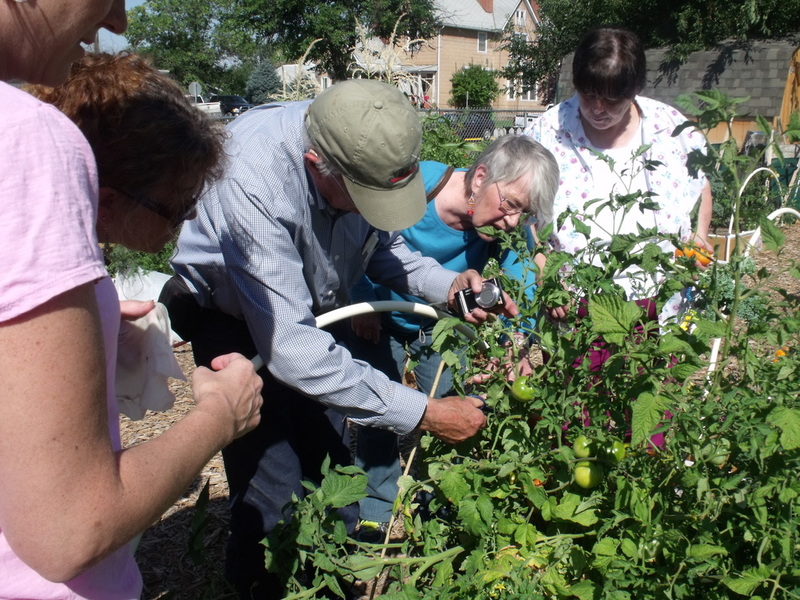 Neighborhood gardens serve a small geographical area, appeal to residents of that area and are more easily sustainable because the volunteers and donors have a vested interested in the neighborhood and want to see it thrive. The produce is important for many reasons, including increased awareness of nutrition and alleviation of stress on the budgets of those who struggle financially. However, the primary value of the gardens lies in cementing neighbors’ relationships with each other and building neighborhood unity. Carrying these ideas forward, the next three Pea Pod projects will occur at the Head Start campus, the Great Falls Rescue Mission and a vacant property lot which lies in an impoverished neighborhood also adjacent to the downtown area. Posted in Cascade, Healthy Eating, Programs.